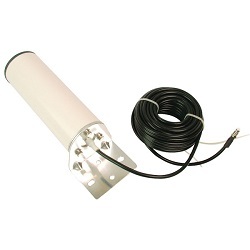 OSCAR 40 is a great antenna solution covering many popular frequencies in use today. Its radome is UV-proof and waterproof making it great for outdoor installation. The antenna is fitted with low loss cable as standard making it ideal for most 4G/3G/2G and Wi-Fi applications.